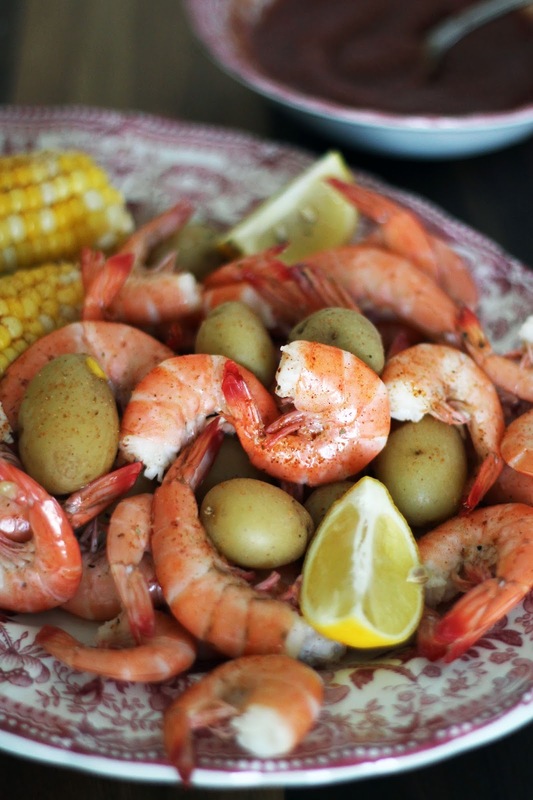 My husband and I love seafood. 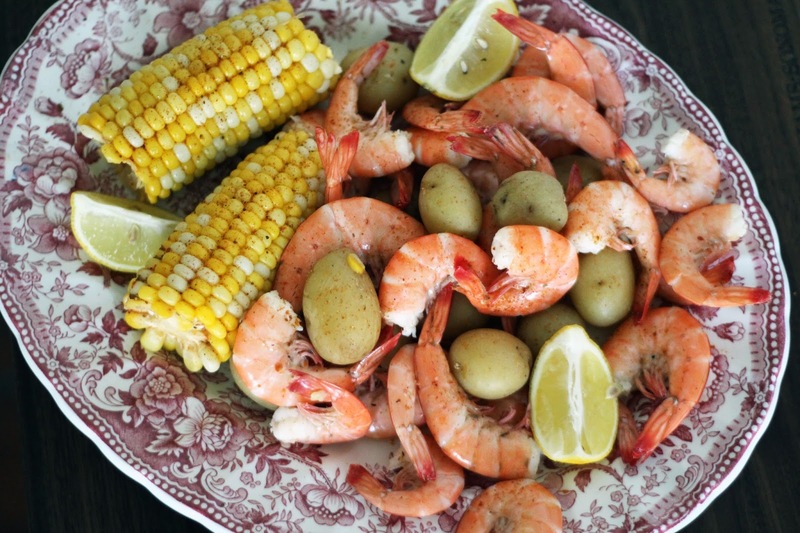 We normally have fish for dinner at least once a week so while we were in Charleston we took advantage of the abundance of fresh seafood. 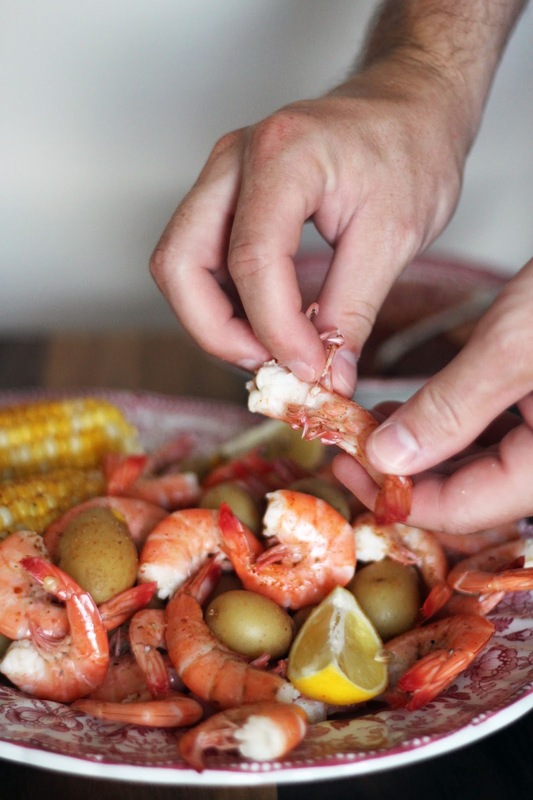 Shrimp is hard to come by in central Virginia so we indulged all summer. 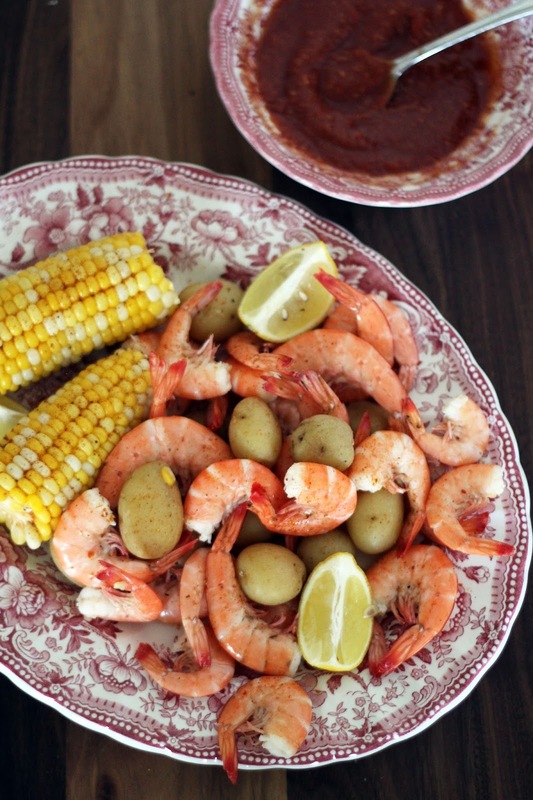 Making a lowcountry boil quickly became one of our favorites. It is incredibly easy to make: throw it all in a pot and enjoy! Plus, using only one pot makes for easy cleanup. This recipe can just as easily feed a crowd as it can a couple for dinner. Bring a large pot of water to a boil. Add old bay, garlic, 1 lemon, onion, and salt and stir to combine. Add corn and potatoes and cook until potatoes are soft. Add shrimp and cook until pink, this will only take a minute. 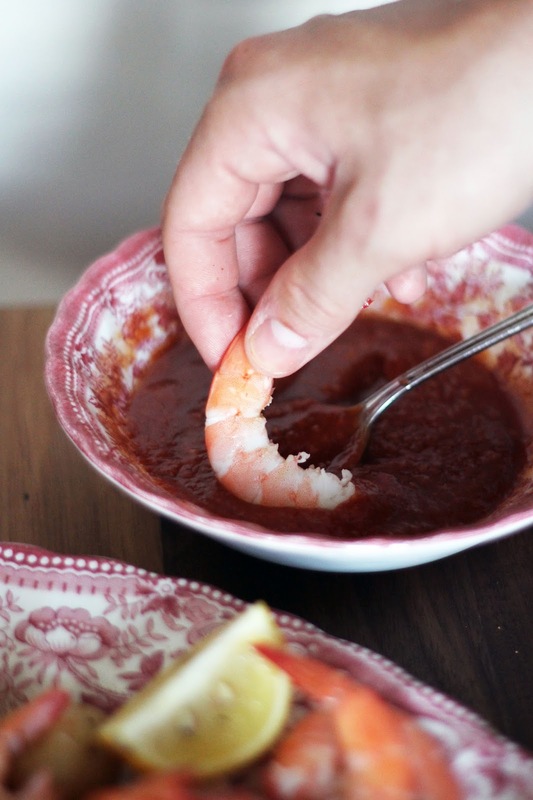 Remove from water and serve with additional sliced lemon and your favorite cocktail sauce.